Rhythm and Blues music, also known as R&B, embraces genres such as Jump Blues, Club Blues, Black Rock and Roll,Soul, Motown, Funk, Disco and Rap. The term Rhythm and Blues was used as a synonym for Black Rock and Rollin the 1950s. This influence is evident in forms of Rock Music, Country and Western, Gospel music, Jazz and also in Non-Western forms of music. Just prior and during World War II (1939-1945) changes took place in the US social, industrial and technology sectors causing a widespread change in American demographics where black Americans migrated from the rural South to Midwest, Northeast and West Coast cities to work for higher income. These changes brought about the creation of new music styles such as the Rhythm and Blues to suit the changing taste of this group of people. There were three technological developments that took place, namely the invention of electric guitars, the discovery of the German-invented tape recorder which simplified the recording process and the rise of television broadcasting in the late 1940s. These led to radio owners to sell off their radio stations presuming that it would become obsolete because of the popularity of television. These new radio station owners sought black American musicians and this allowed the sounds of Rhythm and Blues to be aired to the ubran black audience. Chicago Soul was influenced by Gospel Music songs. It was condensed by the work of singer and songwriter Curtis Mayfield with the group Impressions. Mayfield tended to write what he termed "songs of faith and inspiration. "The music had several lead singers exchanging vocal lines in call and response style. Other types of Chicago Soul genre frequently uses an artificially high voice, the writing of appropriate parts for stringed instruments, the use of vibraphone (a musical percussion instrument), and a song structure that incorporated short two and four bar interludes, often arranged for unique instrumental combinations such as harmony and guitar. Motown sound is a combination of proficient song writing with a straight forward vocal expression. Motown was a recording company name which began to be applied as a description for genre of music. Southern Soul is the most influenced style of Rhythm and Blues. It was originated by singer and song writer James Brown and singer and pianist Ray Charles. It began at the same time as Motown Soul and developed its own unique sound, consisting of keyboard, a horn section and string accompaniments. As the influence of various styles of Rhythm and Blues grew, the music transfered part of the langauge, fashion, style of dance, and attitude of the urban black into the mainstream of American culture. White participants began to make their own versions of the Rhythm and Blues music, some of which then gain widespread popularity among white youth. Timbre refers to the quality or color of a sound - for example, a listener may be able to identify the difference between a saxophone and a guitar , or distinguish one vocalist from another. 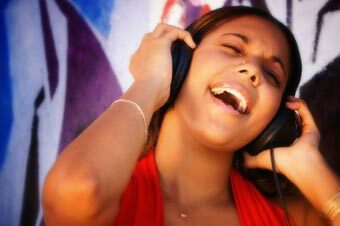 R&B singers and instrumentalists often alternate between gentle, smooth, sharp and deafening timbres, giving the music a wide range of emotional expression. Twelve-bar form and a three-lyric line format. Call and response style where a singer or instrumentalist calls a phrase and another would respond with another phrase. Repetition of verses, rhythms and musical notes. The tight blending of instruments making it difficult to differentiate the sounds or instruments used at a given moment. Bridging of the musical connection between the minor and major modes. The instrumentation is divided into two sections namely, the rhythm section which comprises of a drum set, bass, piano, sometimes organ and piano together and the guitar. The horn section consists of trumpets, saxaphones, sometimes trombones and the emphasis on horns is one of the way it stands out from White Rock Music. Christian Hip Hop was originally Gospel Rap and is also known as Holy Hip Hop or Christian Rap. It uses Christian-theme lyrics. In the 90's the term "Christian Hip Hop" became descriptive of this type of music. The artists professes to be Christians and use their faith to spread the gospel. Many fans consider Christian Hip-Hop music to be more cool than the secular sort and are more experimental than secular Hip-Hop with more usage of acoustic and electrical guitars and other instruments that are somewhat uncommon in Hip Hop. The first artist with a commercially released and distributed Gospel Rap cassette was Stephen Wiley. A young Christian emcee known as D-boywas killed in 1991 in Texas for taking youth from gangs and leading them to Christ. Some consider him to be the first Christian emcee martyr. dc Talk was perhaps the first wide success among Christian Hip- Hop groups. It is a type of popular urban youth culture that associates with Rap music. This also includes the dance styles, graffiti art, and fashion. The word sprung from the disc jockeys in the 1970s in New York. In 1980sbreakdancing became a popular form of Hip-Hop dance. Today the term is used as a synonym for Rap music. Chrisitan Hip-Hop has a history of being dismissed by churches worldwide as sacrilegious, or devil music and thus, many artists, received no money, nor support and no funded albums. Similar to contemporary Christian music, today, many see it as being on the brink of mainstream success. Things have changed since. There has been increased church acceptance with some congregations having Hip-Hop themed worship. Much like other forms of mainstream-style Christian music such as Christian metal and punk, it is often accepted by Youth Pastors and others, as many artists and groups such as LA Symphony create music with quality widely considered to be on par with that of secular Hip-Hop, which often attracts non-believing fans, and many times, draws such audiences to Christ. Rap Music was developed by African-American and Hispanic in the mid 1970s. It is characterised by spoken or chanted rhyming words with a rythmic accompaniment. 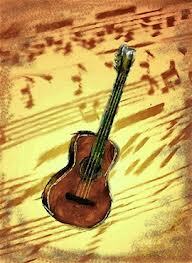 The musicians lingo for the word rap means "to hit". In the 1900s the extended meaning is "to express orally". Over the decades it came to mean "to discuss or debate informally" and that meaning was established in their community by the late 1960s. It consists of chanted, street poetry accompanied by disco or funk music. Some have critisized rap as boastful and a promotion of violence while others admire it as an inventive manipulation of cultural idioms and credit many rappers with an acute social and political awareness. Rap has been incorporated into Pop Music and often used interchangeably with Hip-Hop.